We all need a good leather bag, wallet, or a clutch. Well, ladies and gentlemen get your leather fix courtesy Galaad. Their fun and contemporary designs will add zing to your look. Backpacks are cool or so thought this writer until he came across these funky messenger bags from Galaad. An online brand specialising in all things leather bags and accessories, Galaad’s collection of messengers bags won’t make the boys in your squad ask you why you are carrying a man purse but rather will ask you where you got it from. Clean and cool designs feature extensively in the men’s collection of messenger bags, laptop bags, and wallets. The laptop bags are very hipster, boys, and will work with your boardroom meeting attire as well as your casual Friday meetings with clients or friends. Wallets too follow the clean design and look like they will be appreciated by dads who prefer their wallets leathery and bi-fold. None of those velcro nonsense or those tri-folds that make your look bottom look bigger. Just simple bi-folds with card slots if you are more of the swipe-and-go person! Clutches and laptop bags are what ladies can pick up. 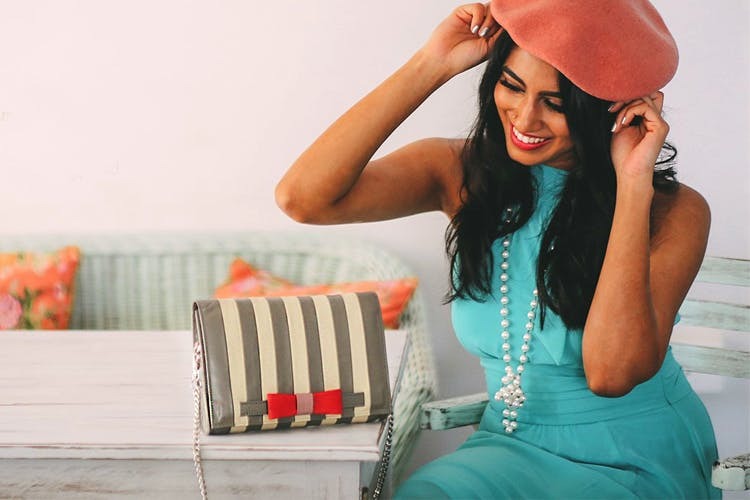 Cute and chic, the clutches can be transformed into a mini crossbody bag that you can take to girl’s night out or family brunches. Ladies, you might want to check out the clutches that feature a lot of colourful designs and patterns. Whatever your reason be for picking up a new laptop bag, Galaad’s collection is pretty cool with handpainted laptop bags that come with pretty floral paint job making my editor gawk, and then buy. In fact, this writer is a bit jealous about the cardholder collection because for guys its just black and brown, but the girls get red, hand painted, and even abstract design card holders.